Ballyclare Limited has come to the aid of a major firefighting organisation with a donation of equipment that will help improve the training the organisation provides. 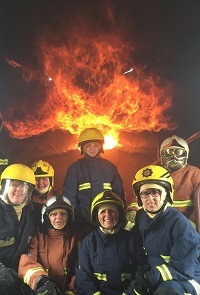 Ballyclare provided the equipment to the UK-based Global Fire & Rescue Partnerships, which works to improve safety for emergency services personnel overseas. “For some foreign firefighting forces, the equipment and training at their disposal may be outdated or inefficient. We work to improve conditions for their firefighters and make their work safer and more effective,” comments Chris Kendall from Global Fire & Rescue Partnerships.